Abiquo and Telefónica have recently signed a partnership to deliver a global hybrid cloud platform for Telefónica to deliver a unified multi cloud portal to offer hybrid clouds, comprising Telefonica’s cloud platforms and private clouds, to their customers. Telefónica, S.A. is a Spanish multinational broadband and telecommunications provider with operations in Europe, Asia, and North, Central and South America. Operating globally, it is one of the largest telephone operators and mobile network providers in the world. They also offer a broad set of global compute, storage, networking, database, analytics, application and deployment services that help organizations move faster with lower IT costs and scale applications fast. Swisscom has launched their SAP cloud services based on Abiquo, which have been specially designed for efficient SAP operations. Virtual instances can be managed using Abiquo’s portal, that allows configuration and management for CPU, RAM and GB – an innovation on the market for SAP-certified infrastructure services. The SAP services include a flexible billing plan that allows services to be billed according to requirements. Also, Managed Services such as backup and monitoring ensure efficient operations. By launching its own cloud solutions and expanding globally in the future, Swisscom aims to meet all its customers’ cloud requirements and fulfill its role as a trustworthy companion in the digital world. In the SAP-certified cloud, virtual instances can be managed at the click of a button using a self-service portal. Instead of having fixed sizes, traditional systems can be configured and managed for CPU, RAM and GB – an innovation on the market for SAP-certified infrastructure services. These services can be billed according to requirements. Managed Services such as backup and monitoring ensuring efficient operations. Abiquo and Israel’s leading internet and international telecommunications provider Bezeq International started its partnership back in June 2016 to provide cloud solutions to Bezeq International’s clients through Abiquo’s cloud management platform. Abiquo and Bezeq Int. have developed further Bezeq Int.’s cloud services, by implementing Abiquo’s Hybrid Cloud platform in a high availability infrastructure in Bezeq Int.’s datacenters to maximize service reliability. Thanks to the main feature of the project, called “Customer Remote Services”, an appliance is placed in the customer datacenter making it ready to be added to the Bezeq Int. Cloud. By creating this infrastructure, Bezeq Int. gives its clients management of their existing virtual infrastructure through Abiquo, and extends their reach to consume public cloud services such as AWS and Microsoft Azure. Bezeq Int. has migrated its current cloud platform customers into Abiquo, also offering them access to Public Cloud services and the possibility to reserve physical host servers for their exclusive use. Pay as you go pricing with no minimum term. Access delivered “on net” to ensure performance and security. Easy migration with real-time deployment. Free Windows operating system license. Possibility to have 100% uptime when building across Virtual1 datacenters. KCOM is one of the UK’s oldest communications services companies, dating back to 1904 when a quirk of history gave Hull and East Yorkshire its own phone company. Today, KCOM also provides transformational services to enterprises and supports national mid-market organizations with a managed service offering comprising straightforward connectivity, communication and cloud solutions. From managed wide area networks and HSCN services, providing enhanced collaboration, productivity, and flexibility, to secure hosted platforms and voice services that promote business growth and positive customer experiences, KCOM provides sound advice, support and a trusted partnership throughout each customer relationship. KCOM uses Abiquo to allow its customers the flexibility to use bespoke, cost-effective private cloud workloads along with the latest features of the public Azure platform, seamlessly managed under one service and charged as a pure utility – paying only for resources used. This can be taken as a self-managed option or with an industry leading, ITIL-based service management wrap, provided by KCOM’s team of cloud experts. KCOM can also provide a full end-to-end solution including connectivity and telephony – one service, one bill, one contact for all your support needs. Everis is a multinational consulting firm offering business solutions covering all aspects of the value chain, from business strategy through to systems implementation. Everis use Abiquo to manage internal cloud resources for their project teams. Interoute utilizes Abiquo to provide on-demand computing, storage and applications integrated into the heart of enterprise IT infrastructure. The Interoute VDC has all the characteristics of a public cloud; the ability to burst, pay as you go pricing and real-time deployment. It is the integration of Interoute’s MPLS/IP network that makes this a cloud-delivered using the Internet or as part of your corporate infrastructure eliminating the cost and resource constraints of the private cloud. Easynet base their Enterprise Cloud service on Abiquo to provide managed computing platform that gives you the power to instantly provision Windows and Linux virtual servers for mission critical applications with a 99.99% service level agreement.Enterprise Cloud lets you control a resource pool of processing, memory and storage, empowering you to segment your compute assets by project or department and delivering granular access control. Easynet was acquired by Abiquo’s partner Interoute. 6YS, located in Australia, delivers the IronPoint service – a “best of breed” Infrastructure as a Service (or “IaaS”) offering that provides an elastic, scalable virtual environment where Clients can quickly and easily provision individual server and network resources or entire Virtual Data Centre environments at the click of a button. Ibermática is a global company of IT services that has been operating in the market since 1973. Its activity focuses on consulting, services infrastructures, integration of information systems, outsourcing and implementation of solutions integrated business management. It is also present in the main sectors of activity (Financial Services, Insurance, Industry, Telco & Media, Health, Utilities and Public Administration), where it offers specific solutions. Ibermática helps digital transformation of companies, institutions and organizations to improve their competitiveness by applying technology and knowledge. Ibermática offers hybrid cloud capacity to its clients through Abiquo. IECISA has its focus in Digital Transformation. They enable infrastructure and communications to evolve towards virtualization using highly flexible and scalable modalities (Cloud Datacentres, SDN Networks). They guarantee business operations, mitigating risks through integrated security management solutions (convergence of IT/OT provided under advanced C-SOC service models). IECISA offers IaaS and PaaS services on top of Abiquo using Ansible. 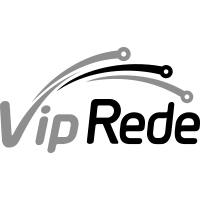 VipRede is the only enterprise service provider in Espirito Santo, Brazil, with complete networking coverage and synchronised data centers. Uniquely placed on the market to take end to end responsibility for their customer needs. They value their independence and take pride in helping clients achieve their goals. VipRede is an excellent partner for international clients entering Brazil. VipRede selected Abiquo to deliver its new cloud solution. Using Abiquo’s multi-hypervisor ability together with selected technology from Dell, Unitrends and Datacore give VipRede a class-leading cloud offering which will enable a range of products from self-service cloud provision to a set of managed services. GlobalMicro is a Johannesburg based managed services firm that specialises in cloud computing services to small, medium and enterprise businesses. Today, it is one of most experienced providers of cloud services to businesses in South Africa and beyond. It is trusted by over 18 000 businesses to provide integrated cloud and on premise solutions. Working together with Abiquo has benefit our clients to have better management and control of their private and public clouds, which will help to maintain and improve our high-quality services to the Israeli market. Abiquo’s support throughout our selection process has been outstanding. We tested Abiquo with a range of hypervisors, and in every case, it just worked! The support team have also been great to work with, and the features they offer will allow us to maintain a leading position in our market. After looking at a number of options, we chose Abiquo because of its ability to expose the extensive functionality of the underlying infrastructure in a way that is simple for our partners to use. "Informática el Corte Inglés bets on Abiquo as CMP for the hybridization of its customers' cloud. Abiquo is integrated with our AutoCore solution, for the automatic provision of infrastructure with code, based on Ansible"
Abiquo has been a great asset to our business enabling non technical customers the ability to easily deploy VM’s into a public cloud environment. Abiquo is very stable and reliable. New software versions come with a very high quality, deploy and run. It is doing, what it should, runs stable, I never experienced an outage because of the Abiquo framework itself. Frost & Sullivan finds that Interoute’s efforts to offer an IaaS solution with a simple user interface that also ensures flexibility and security for customers makes its VDC a valuable offering in the European market. Frankfurt, 13th June, 2014 – The managed service provider Claranet was awarded the “Cloud Leader Award” by the independent IT research and advisory company Experton Group for the third year in a row. In the category “Enterprise Public Cloud Services (IaaS)”, Claranet was especially noted for its Abiquo-based Virtual Data Centre service located in its own data center in Frankfurt am Main, their German Service and comprehensive managed cloud portfolio. 17 September, 2012 – Claranet’s Virtual Data Centre (VDC), the first truly integrated Infrastructure as a Service offering available to the European market, was named the Cloud / SaaS Product of the Year at last night’s annual TechWorld Awards. Launched in late 2011, Claranet’s VDC enables users to self-provision their own infrastructure resources at the click-of-a-mouse and is designed to meet the demands of the modern enterprise and mid-sized businesses. Award organisers were particularly impressed by the service’s hypervisor agnosticism, which has been key to its appeal with analysts and customers alike. 29 November, 2012 – Claranet wins a third UK industry award for its Infrastructure-as-a-Service offering, Virtual Data Centre (VDC) at the Achievements in Storage, Virtualisation and Cloud Computing (SVC) Awards 2012. The SVC Awards honoured the cream of the IT industry – recognising IT projects and channel players, alongside vendors. Claranet VDC was awarded IaaS Technology of the Year following a two-stage judging process, which saw entries assessed by a panel of industry experts before being shortlisted for a public vote. Here at Interoute we’re not shy about telling everyone that we think Interoute Virtual Data Centre is the best cloud service out there. So, we are of course very glad to see others rating our cloud highly too! Frost & Sullivan has applauded Interoute VDC’s innovative and flexible cloud computing service, which is integrated into our Pan-European network. London, 19 December 2012 – Interoute, owner operator of Europe’s largest cloud services platform, won the Innovation in Outsourcing award for its Virtual Data Centre (VDC) at the Datacenter Dynamics Awards. A scalable, fully automated Infrastructure as a Service (IaaS) solution, Interoute VDC provides on-demand computing, storage and applications integrated into the heart of an IT infrastructure. 7 August, 2012 – Claranet has received the “MKB Proof Award” from WINMAG Pro Magazine and Baaz Magazine for its new Cloud Service ‘Virtual Data Centre’ (VDC). Claranet’s VDC was described as an affordable, functional and easily managed service which is primarily suited to SMEs. The “MKB Proof Award” evaluates the best services and products aimed at the SME market by taking into account the opinions of experienced magazine editors, experts who have tested the service, as well as readers of WINMAG Pro and Baaz. London, 14 June 2012 – Interoute, owner operator of Europe’s largest cloud services platform, announced today that its Virtual Data Centre (VDC) has been awarded the 2012 Information, Communication and Media Technology (ICMT) Award for TLC driven convergence. London, June 6th 2013 – Interoute, owner operator of Europe’s largest cloud services platform, announced today it has been awarded two ‘Business Service Innovation’ awards by Global Telecoms Business for Interoute Virtual Data Centre (VDC). The two awards won in partnership with Abiquo and NetApp respectively recognise the innovative level of control that VDC gives users and the scalable cloud storage solution Interoute and NetApp have launched to the enterprise and channel market. 14 June, 2012 – Claranet’s Virtual Data Centre (VDC), the first truly integrated Infrastructure as a Service offering available to the European market, won the European Award for Cloud Infrastructure at the 5th annual Datacentre Awards last night (13th June 2012). The service, which enables users to self-provision their own virtual data centre at the click-of-a-mouse, was launched in late 2011, when it received an extremely warm and enthusiastic response from customers, analysts and journalists. Presenting the Award, organisers praised the service’s integrated networking component as a key differentiator in the European cloud market.